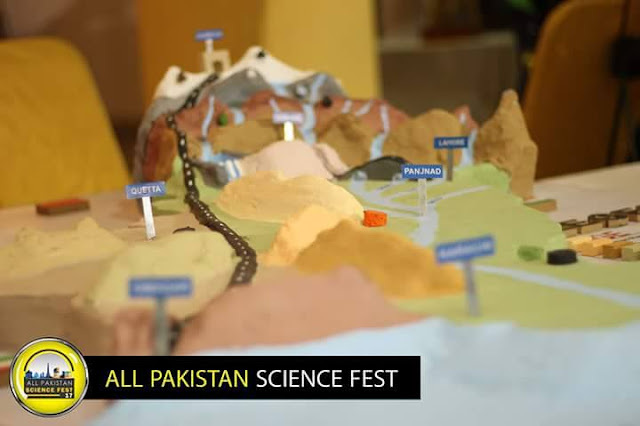 The concept of transform faulting. When researchers began to explore the bathymetry of midocean ridges in detail, they discovered that mid-ocean ridges are not long, uninterrupted lines, but rather consist of short segments that appear to be offset laterally from each other (figure above a) by narrow belts of broken and irregular sea ﬂoor. These belts, or fracture zones, lie roughly at right angles to the ridge segments, intersect the ends of the segments, and extend beyond the ends of the segments. Originally, researchers incorrectly assumed that the entire length of each fracture zone was a fault, and that slip on a fracture zone had displaced segments of the mid-ocean ridge sideways, relative to each other. In other words, they imagined that a mid-ocean ridge initiated as a continuous, fence-like line that only later was broken up by faulting. But when information about the distribution of earthquakes along mid-ocean ridges became available, it was clear that this model could not be correct. Earthquakes, and therefore active fault slip, occur only on the segment of a fracture zone that lies between two ridge segments. The portions of fracture zones that extend beyond the edges of ridge segments, out into the abyssal plain, are not seismically active. At convergent plate boundaries, two plates, at least one of which is oceanic, move toward one another. But rather than butting each other like angry rams, one oceanic plate bends and sinks down into the asthenosphere beneath the other plate. Geologists refer to the sinking process as subduction, so convergent boundaries are also known as subduction zones. 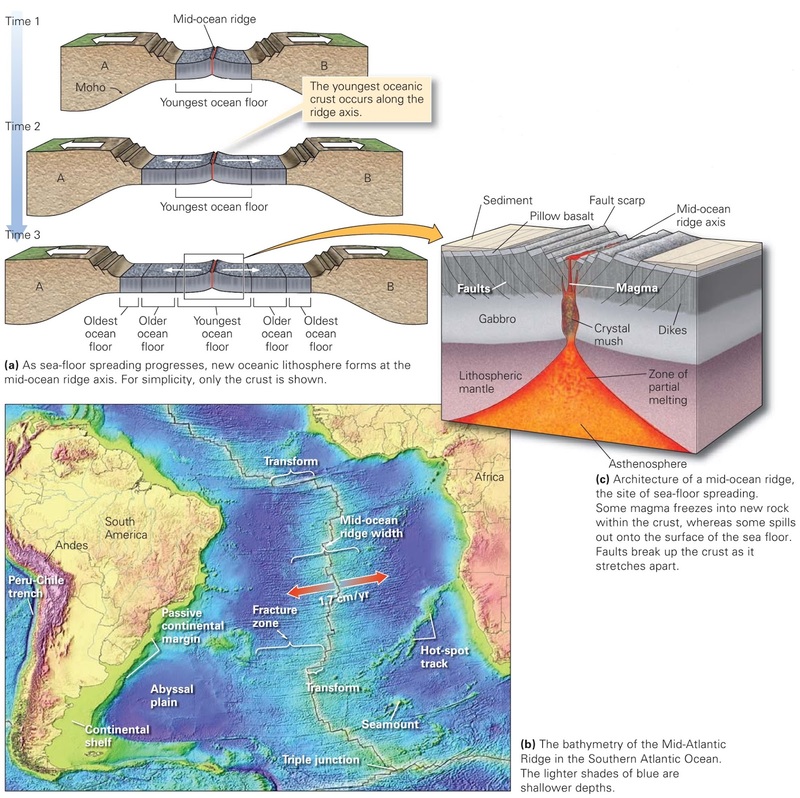 Because subduction at a convergent boundary consumes old ocean lithosphere and thus ‘‘consumes’’ oceanic basins, geologists also refer to convergent boundaries as consuming boundaries, and because they are delineated by deep-ocean trenches, they are sometimes simply called trenches. The amount of oceanic plate consumption worldwide, averaged over time, equals the amount of sea-ﬂoor spreading worldwide, so the surface area of the Earth remains constant through time. During the process of subduction, oceanic lithosphere sinks back into the deeper mantle. The process of sea-floor spreading. At a divergent boundary, or spreading boundary, two oceanic plates move apart by the process of sea-ﬂoor spreading. Note that an open space does not develop between diverging plates. Rather, as the plates move apart, new oceanic lithosphere forms continually along the divergent boundary (figure above a). This process takes place at a submarine mountain range called a mid-ocean ridge that rises 2 km above the adjacent abyssal plains of the ocean. Thus, geologists commonly refer to a divergent boundary as a mid-ocean ridge, or simply a ridge. Water depth above ridges averages about 2.5 km. To characterize a divergent boundary more completely, let’s look at one mid-ocean ridge in more detail (figure above b). The Mid-Atlantic Ridge extends from the waters between northern Greenland and northern Scandinavia southward across the equator to the latitude of the southern tip of South America. Geologists have found that the formation of new sea ﬂoor takes place only along the axis (centerline) of the ridge, which is marked by an elongate valley. The sea ﬂoor slopes away, reaching the depth of the abyssal plain (4 to 5 km) at a distance of about 500 to 800 km from the ridge axis. Roughly speaking, the Mid-Atlantic Ridge is symmetrical its eastern half looks like a mirror image of its western half. The ridge consists, along its length, of short segments (tens to hundreds of km long) that step over at breaks that, as we noted earlier, are called fracture zones. What Do We Mean by Plate Tectonics? The paleomagnetic proof of continental drift (plate tectonics) and the discovery of sea-ﬂoor spreading set off a scientiﬁc revolution in geology in the 1960s and 1970s. Geologists realised that many of their existing interpretations of global geology, based on the premise that the positions of continents and oceans remain ﬁxed in position through time, were simply wrong! Researchers dropped what they were doing and turned their attention to studying the broader implications of continental drift and sea-ﬂoor spreading. It became clear that these phenomena required that the outer shell of the Earth was divided into rigid plates that moved relative to each other. 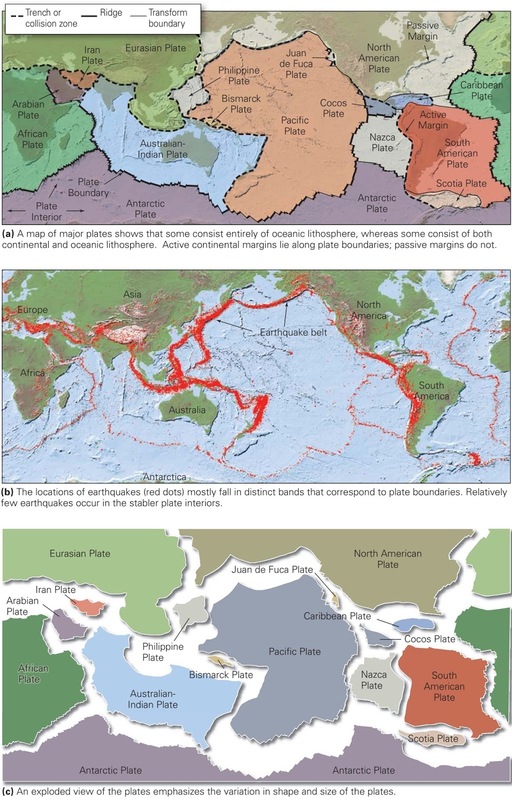 New studies clariﬁed the meaning of a plate, deﬁned the types of plate boundaries, constrained plate motions, related plate motions to earthquakes and volcanoes, showed how plate interactions can explain mountain belts and seamount chains, and outlined the history of past plate motions. From these, the modern theory of plate tectonics evolved. Below, we ﬁrst describe lithosphere plates and their boundaries, and then outline the basic principles of plate tectonics theory. 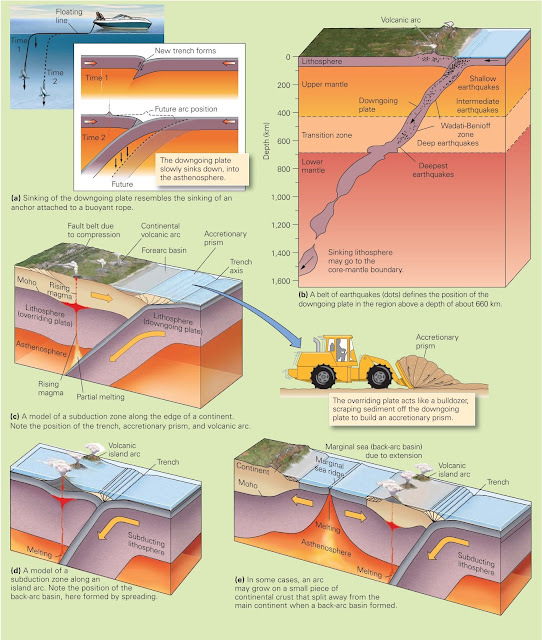 Nature of the lithosphere and its behaviour. We learned earlier that geoscientists divide the outer part of the Earth into two layers. The lithosphere consists of the crust plus the top (cooler) part of the upper mantle. It behaves relatively rigidly, meaning that when a force pushes or pulls on it, it does not ﬂow but rather bends or breaks (figure above a). 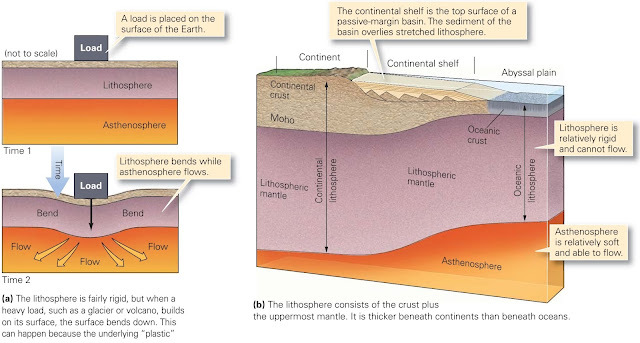 The lithosphere ﬂoats on a relatively soft, or “plastic,” layer called the asthenosphere, composed of warmer ( 1280°C) mantle that can ﬂow slowly when acted on by a force. As a result, the asthenosphere convects, like water in a pot, though much more slowly. Continental lithosphere and oceanic lithosphere differ markedly in their thicknesses. On average, continental lithosphere has a thickness of 150 km, whereas old oceanic lithosphere has a thickness of about 100 km (figure above b). (For reasons discussed later in this chapter, new oceanic lithosphere at a mid-ocean ridge is much thinner.) Recall that the crustal part of continental lithosphere ranges from 25 to 70 km thick and consists largely of low-density felsic and intermediate rock. In contrast, the crustal part of oceanic lithosphere is only 7 to 10 km thick and consists largely of relatively high-density maﬁc rock (basalt and gabbro). The mantle part of both continental and oceanic lithosphere consists of very high-density ultramaﬁc rock (peridotite). Because of these differences, the continental lithosphere “ﬂoats” at a higher level than does the oceanic lithosphere. The location of plate boundaries and the distribution of earthquakes. The lithosphere forms the Earth’s relatively rigid shell. But unlike the shell of a hen’s egg, the lithospheric shell contains a number of major breaks, which separate it into distinct pieces. As noted earlier, we call the pieces lithosphere plates, or simply plates. The breaks between plates are known as plate boundaries (figure above a). 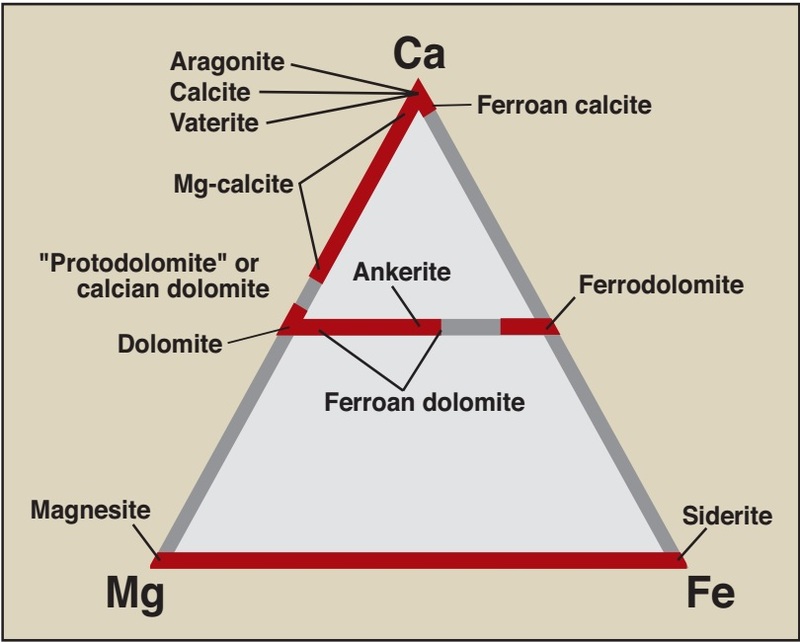 Geoscientists distinguish twelve major plates and several microplates. With the background provided above, we can restate plate tectonics theory concisely as follows. The Earth’s lithosphere is divided into plates that move relative to each other. As a plate moves, its internal area remains mostly, but not perfectly, rigid and intact. But rock along plate boundaries undergoes intense deformation (cracking, sliding, bending, stretching, and squashing) as the plate grinds or scrapes against its neighbours or pulls away from its neighbours. As plates move, so do the continents that form part of the plates. Because of plate tectonics, the map of Earth’s surface constantly changes. How do we recognize the location of a plate boundary? The answer becomes clear from looking at a map showing the locations of earthquakes (figure above b). 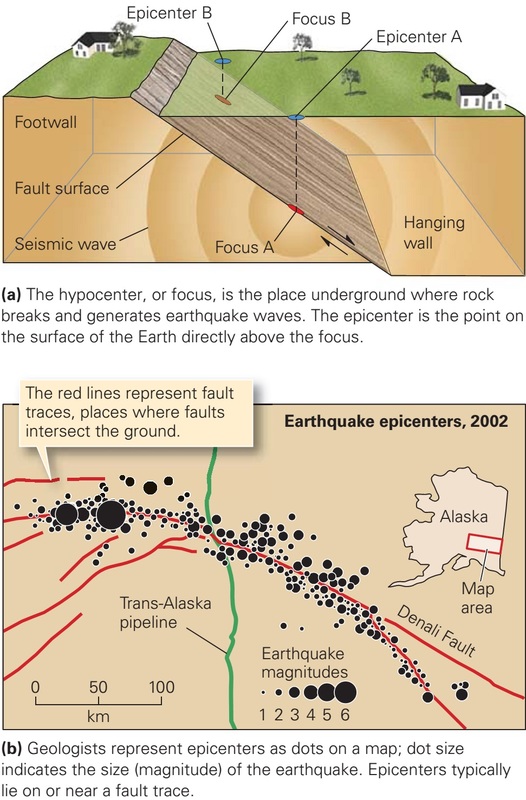 Recall from Chapter 1 that earthquakes are vibrations caused by shock waves that are generated where rock breaks and suddenly slips along a fault. The epicentre marks the point on the Earth’s surface directly above the earthquake. Earthquake epicentres do not speckle the globe randomly, like buckshot on a target. Rather, the majority occur in relatively narrow, distinct belts. These earthquake belts deﬁne the position of plate boundaries because the fracturing and slipping that occurs along plate boundaries generates earthquakes. Plate interiors, regions away from the plate boundaries, remain relatively earthquake-free because they do not accommodate as much movement. 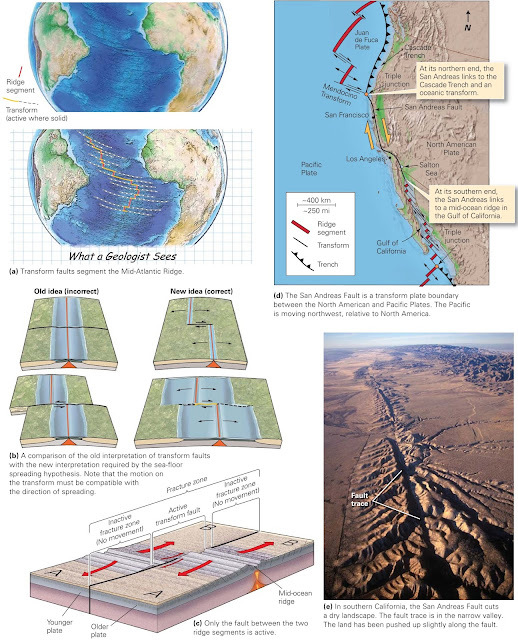 While earthquakes serve as the most deﬁnitive indicator of a plate boundary, other prominent geologic features also develop along plate boundaries. Note that some plates consist entirely of oceanic lithosphere, whereas some plates consist of both oceanic and continental lithosphere. Also, note that not all plates are the same size (figure above c). Some plate boundaries follow continental margins, the boundary between a continent and an ocean, but others do not. For this reason, we distinguish between active margins, which are plate boundaries, and passive margins, which are not plate boundaries. Earthquakes are common at active margins, but not at passive margins. Along passive margins, continental crust is thinner than in continental interiors. Thick (10 to 15 km) accumulations of sediment cover this thinned crust. The surface of this sediment layer is a broad, shallow (less than 500 m deep) region called the continental shelf, home to the major ﬁsheries of the world. The three types of plate boundaries differ based on the nature of relative movement. 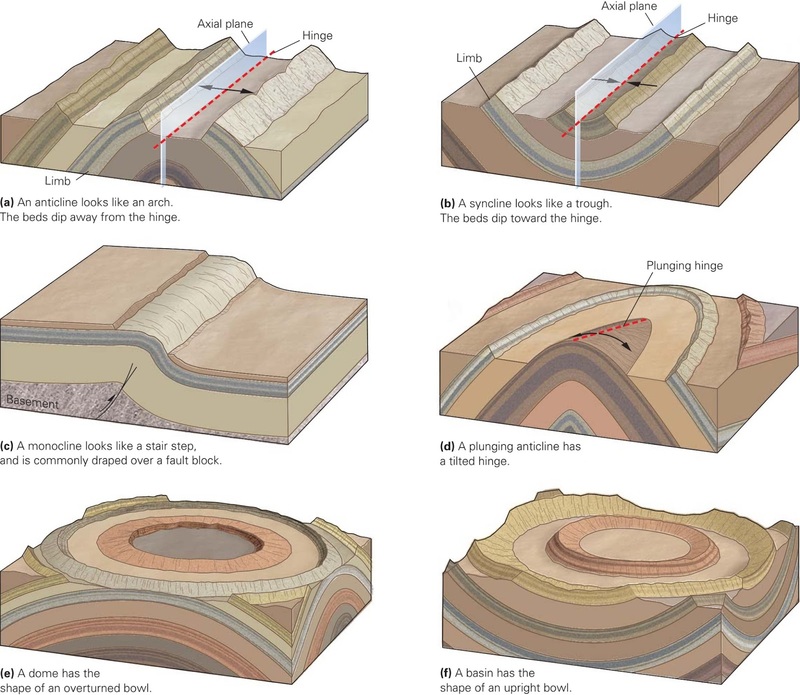 Geologists deﬁne three types of plate boundaries, based simply on the relative motions of the plates on either side of the boundary (figure above a–c). A boundary at which two plates move apart from each other is a divergent boundary. A boundary at which two plates move toward each other so that one plate sinks beneath the other is a convergent boundary. And a boundary at which two plates slide sideways past each other is a transform boundary.